When you want consistency in breakfast foods, reach for the Wheaties. When you want consistency in pop music, definitely reach for the PB&J. And to everyone over the age of five, that’s Peter Bjorn and John. The newest release from the Swedish trio continues to surprise and delight in the fact that each effort they put forth continues to surprise and delight. Is this getting too meta? Don’t overanalyze, just go with it. 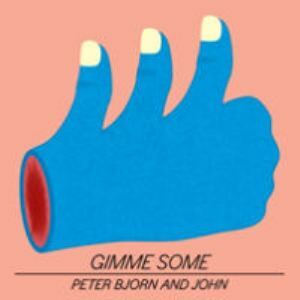 Gimme Some retains the sticky sweetness of Peter Bjorn and John past. Less experimental than Living Thing, this album has the same feel, but is a little poppier and a little lighter. On “Dig A Little Deeper” they sing, “All art has been contemporary/Dig a little deeper,” which may or may not be a tongue-in-cheek commentary on their own music. “(Don’t Let Them) Cool Off” seemingly comes straight from a songwriting seminar circa 1997 with Michael Stipe, and “May Seem Macabre” seeks to incorporate a smooth feel reminiscent of 80’s pop. For a band who never intended anyone to hear their music, they sure know how to write a song that will get stuck in your head and keep trucking.